The writer is former DG, FIA, and author of The Faltering State (2017). By now it is quite apparent that President Trump’s strategy on Afghanistan relies on the military-driven mantra of ‘do-more’ for Pakistan to take effective measures against the alleged presence of the Afghan Taliban and the Haqqani network on its soil. The brief stopover of the US secretary of state in Islamabad was meant to hand over a to-do list to our security establishment. Two more high-level US military-led visits are on the anvil: defence secretary and chairman joint chief of staff would surely be following up on the set of priorities in the context of the Trump South Asia security doctrine. A belligerent stance from either side could aggravate tensions in “an already fraught relationship”. A sensible approach towards a middle ground is the only way forward. Both the US refrain of ‘do more’ and Pakistan’s irritated response of ‘no more’ are unwise. Both the US refrain of ‘do more’ and Pakistan’s irritated response of ‘no more’ are unwise and fraught with tensions. A ‘do better’ approach by both sides would enhance trust and credibility. Instead of a transactional relationship or the limited horizon of counterterrorism-specific goals, a broad-based and long-term strategic approach under an institutional framework is recommended. The scope of dialogue with the US in terms of regional stability should be based on Pakistan’s core national interests. Peace in Afghanistan is in Pakistan’s interest, to achieve the smooth integration of Fata with Khyber Pakhtunkhwa and restore cross-border amity. We should bring China and CPEC in the equation of the interest of the US as economic progress will reduce militancy, extremism and insurgency. Pakistan’s economic and security interests with Iran are inextricably linked with the potential prosperity and resources of Balochistan. Pakistan should also be willing to talk to India with a view to finding a solution to mutual irritants in terms of the resolution of the Kashmir dispute and terrorism-related issues. The US should understand the geographical, political and economic compulsions and complexities of the region. The approach should be resolving disputes rather than creating conflicts; wisdom is better than bravado. The top-most priority should be to revive the strategic political, economic and security-level bilateral framework comprising the foreign, interior, defence, finance and commerce ministers from Pakistan, and their counterpart US secretaries. The focus of this biannual dialogue should be foreign policy, defence-related matters, counterterrorism and intelligence-based issues, bilateral trade and commerce. This cabinet-level forum should report to parliament. The second tier of bilateral cooperation should be operational and tactical. Both America’s and Pakistan’s national security advisers should set the agenda on security-related issues. An important segment of tactical cooperation should be mil-mil and intel engagements. The army chief and the DG ISI from Pakistan can engage with the Pentagon and CIA to facilitate security-related and intelligence-led operations against the terrorists who pose a threat to regional peace and stability. Another crucial strand of collaborative dialogue pertains to law enforcement and the criminal justice sector. This process should be spearheaded by the interior ministry in Pakistan and the justice department in the US. Capacity-building and law-enforcement matters can be discussed at regular intervals between the FIA and the FBI, Nacta and CTC, the ANF and the Drug Enforcement Administration, as well as other police-related institutions such as the National Police Bureau and the Bureau of International Narcotics and Law Enforcement. 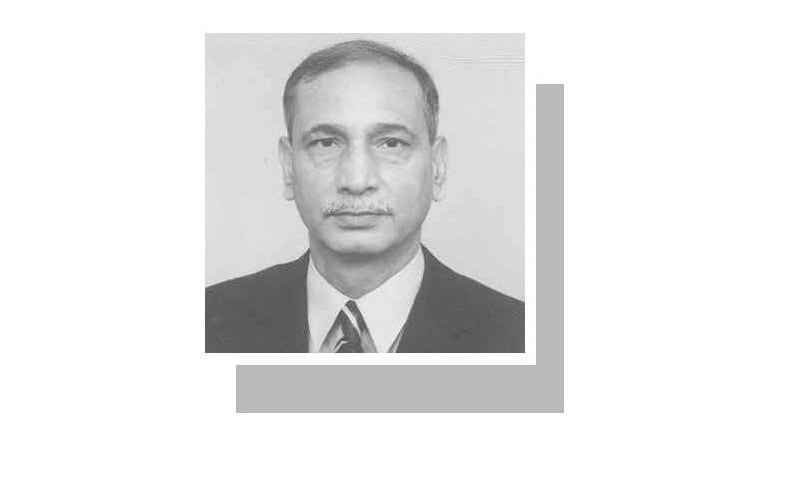 Ties between the US and Pakistan need to be reset and calibrated within the framework of policies, strategies and processes based on the convergence of their national interests. There is no shortcut to constructive engagement. For the latter to happen, both the US and Pakistan must abandon the blame game to conceal their failures to secure peace in Afghanistan and stop or annihilate non-state actors. All the stakeholders should forge a united front against the emerging threat of the militant Islamic State group, and the Jamaatul Ahrar on both sides of the Pak-Afghan border. Sagacity, restraint, mutual understanding, and respect should be the guiding principles of overcoming the trust deficit, even if we agree to disagree on account of our national interests. Pakistan has to set its house in order by faithfully implementing the 20-point National Action Plan against militancy, terrorism and violent extremism. The writ of the state can only be established if the distinction between strategic assets and militant threats is completely eliminated. The time for proxies is over. Secondly, efforts should be made to restore order and the rule of law in ungovernable spaces such as Fata and the ‘B’ areas of Balochistan. Thirdly, the capacity of civilian law-enforcement agencies and criminal justice institutions should be developed in order to avoid the militarisation of internal security. Above all, parliamentary oversight and democratic control must be established over the intelligence agencies. For that to happen, good governance and the rule of law will have to be established. US has its own interests and PAkistan has its own.Pakistan is geographically located in the region, US is not.Pakistan has high stakes and repercussions.US need to understand and be mindful how Pakistan has already played positive role which the world alrrady knows.We can't become proxy as a country. First sentence of the last paragraphs says it all. "The time for proxies is over", rightly said by writer. Trust deficit must be overcome through the interest of both US and Pakistan, IS threaten Pakistan security and US is completely losing the war in Afghanistan , so peace is the ultimate option which is through the dialogue process not military action. How to abandon so called good terrorists who ar doing a great service for us as proxy? Very brief and very good recommendations in a single article. This would help to think about long term relationship. Last paragraph is nice summary. For other details about US, etc. those suggests would have been nice probably 10-15 years ago and were tried at that time but Pakistan even after committing publicly to not allow use of there territory for terrorists didn’t kept up with its part of commitment so world view is extremely negative and nobody expect anything different this time too. So, others will take necessary actions as they think to stop this menace and unfortunately it won’t be favourable for Pakistan. "The writ of the state can only be established if the distinction between strategic assets and militant threats is completely eliminated. The time for proxies is over." Sage advice.. BUT a big one for that.. who is going to heed? the ultimate sufferer of the policies of the security establishment are the people of the region in general and of Pakistan in particular, interests of whose, it supposed to be guarding. The time for proxies is never over as long as the military believes they can be manipulated and can provide an advantage. There is no reason to believe that mindset has ever changed.